Actresses Kellita Smith and Vivica A. Fox will appear on this week's FROM THE PRESS BOX TO PRESS ROW and Boxtorow Lunch with Donal Ware. Both Smith and Fox are avid sports fans and are each playing roles in Entertainment Studios' First Family and Mr. Box Office. Boxtorow Lunch is the sports talk show with a twist. The show also talks sports with some of the top entertainers in the business. Boxtorow Lunch airs Friday's 1-2p ET/12-1p CT/11a-12p MT/10-11a PT on SiriusXM Channel 141 H.U.R. Voices. 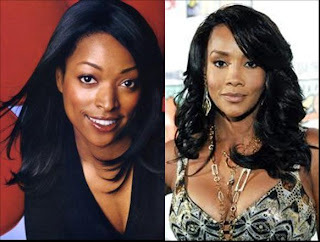 Previous entertainment guests have included Aretha Franklin, Sanaa Lathan, Tyrese, Megan Good, Melanie Fiona, LisaRaye, Mark Paul-Gosselaar, Cedric the Entertainer, and Charlie Wilson to name a very few. The interviews will be replayed on FROM THE PRESS BOX TO PRESS ROW. Boxtorow Lunch with Donal Ware can be heard Fridays from 1-2p ET, Noon-1p CT, 11a-Noon MT, and 10-11a PT on H.U.R. Voices SiriusXM Channel 141. The show is replayed on SiriusXM Channel 141 Sundays 10-11p ET and Tuesdays 8-9a ET. FROM THE PRESS BOX TO PRESS ROW is one of two national sports talk shows that air on both Satellite and terrestrial radio (The Dan Patrick Show).